China Mobile (CHL) shares have massively underperformed the recent Asian rally due to the fact that the telecom company is oddly in the process of buying a bank — Pudong Bank to be precise. China Mobile Chairman Wang Jianzhou said yesterday the possible investment in Pudong Bank, which Guotai Junan estimates may cost $5.9 billion, would help the carrier build its electronic commerce business and lift earnings. The transaction would help replenish capital at the Shanghai-based lender after Chinese banks extended a record 9.59 trillion yuan ($1.4 trillion) of credit last year. China Mobile shareholders are obviously flummoxed by the prospect of a cash rich telecom suddenly morphing into a potential financial time bomb. Pudong Bank, part-owned by Citigroup Inc., said yesterday in a Shanghai stock exchange filing that talks on a possible investment by China Mobile are under way. Wang said a deal may be concluded soon and would lift China Mobile’s earnings per share as support from a bank helps it expand in e-commerce, a market dominated domestically by Alibaba Group Holding Ltd.
It’ll be a shame if the deal goes through, since China Mobile otherwise has an amazing business. They’re the world’s largest telecom with over half a billion subscribers. A) China Mobile might not be getting all that bad a deal for Pudong. 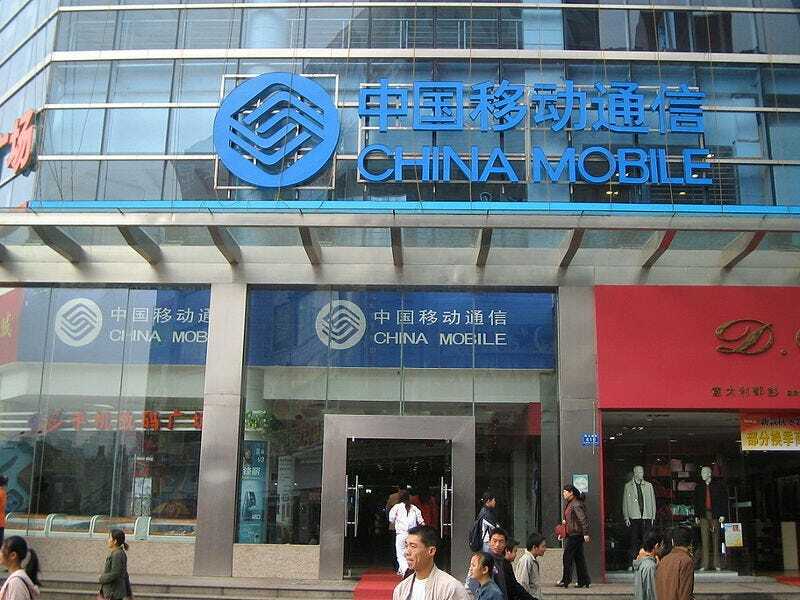 China Mobile, which had 256 billion yuan of cash at the end of June according to its first-half earnings report, may buy 2.2 billion Pudong Bank shares for 17.82 yuan apiece, Guotai Junan analyst Wu Yonggang wrote in a note last week, without citing anyone. That’s 14 per cent lower than the stock’s closing price before trading was halted on Feb. 26 pending an announcement about a strategic investment. B) They might be getting a bad deal, but one which they can manage to take on while still growing their earnings. C) They might not end up buying Pudong, in which case the shares would melt up given how much pressure they’ve been under due to the deal, plus the fact that they have massively underperformed the market. D) Yes, there is a risk that China Mobile takes on a giant lemon with Pudong, creating the potential that it ends up a Chinese banking disaster. Who knows what kind of financial losses Pudong Bank could end up having. After the recent financial crisis, anything can happen. But… one needs to think of the stock in terms of risk/reward. ‘B’ is the most likely outcome, while ‘C’ and ‘D’ are low probability but high impact outcomes. Yet if ‘A’, ‘B’, or ‘C’ end up being the case, the shares are likely to move up over time given where they’ve been in the past and how they’ve been punished already. China Mobile remains one of the largest China consumer-growth plays there is and has a ridiculously dominant position. Scenario ‘C’ is always of course risk, but what’s the probability? 10%? Thus as a part of a diversified portfolio China Mobile might not be that crazy. So it might be worth investigating, the ridiculous (potential) Pudong Bank buy may be priced-in. Everyone needs to do their own due diligence of course, this is just a blog post after all. The author does not own shares of China Mobile.